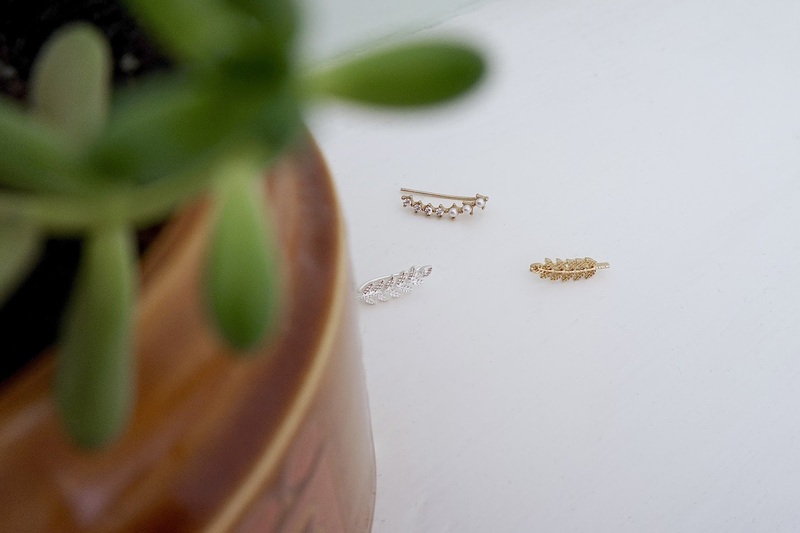 I've actually never spoken about accessories on my blog before, mainly because I'm quite minimalist when it comes to accessorising and quite often I stick to the same few rings and pairs of earrings and that's about it. 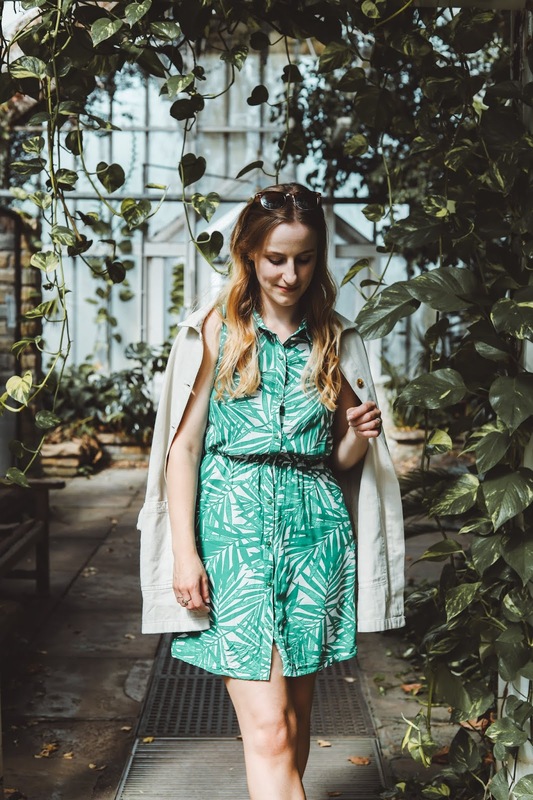 This summer though I seem to have become a little braver (emphasis on the little) and I have some real staples that I've been loving and I thought it'd be rude not to share! Marble | Oh hey me the stereotypical blogger - yep I'm having a marble moment. There's something quite satisfying about having (kind of) matching earrings and sunglasses - isn't it funny how matching things somehow make you feel like you've got your life together? 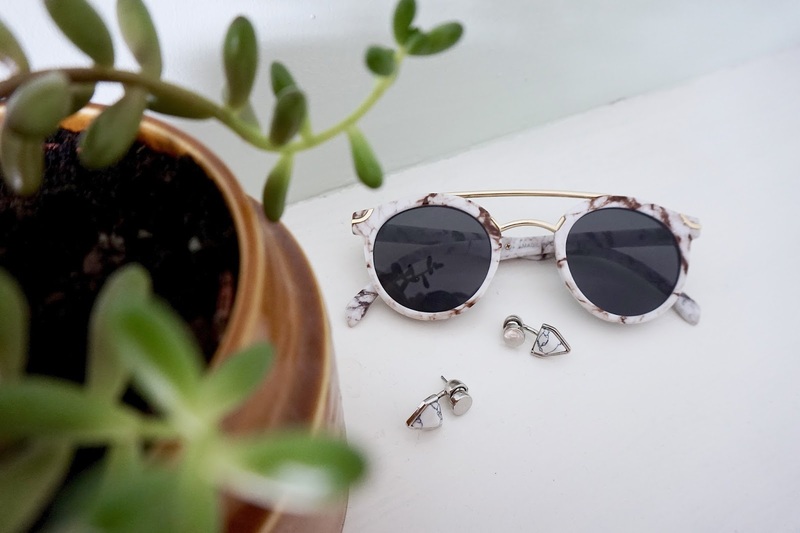 The earrings are from Next and I've actually had them quite a while so they're no longer in stock but the sunglasses are from Asos and are right here if you wanna join the marble club. Chokers | I mentioned in my last style inspiration post that I'm loving all things 90s, chokers included obviously. The first one I bought was very safe to ease myself into the trend, a simple black one from Asos (here) and then I found this rose gold dream choker in Primark of all places. Swoon. Adorning my ears | I don't really know what these are called - they're not quite ear cuffs, they're just like studs that go all the way up your ear - anyone? But anyway I really like them. I've got three piercings further up on my ears that I wear small hoops in and then I like wearing these in my lobes so it looks like I'm one of those cool people who have their ears pierced all the way up but really I'm just a fraud. I got the pearl one from Accessorize quite a while ago, but the leaf ones are still available at H&M here. 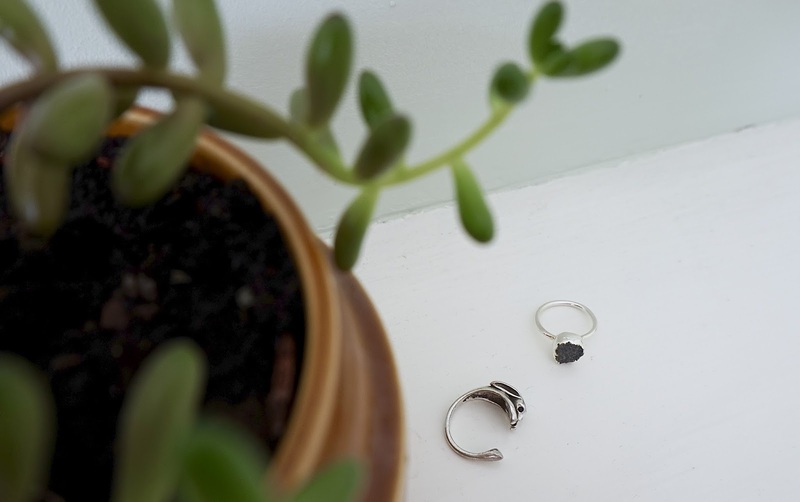 Silver ring duo | I love rings and I usually wear quite a few, but they annoy me a bit in hot weather so I've been sticking to just two most of the time. The cute rabbit one was a gift from my friend a few birthdays ago and the other was a gift from Nick from a market in Covent Garden last time we were in London. What are your favourite accessories for summer? I love your accessories Amy, that chocker is sooooo pretty! Have a lovely day. Great accessories, loving the photography! I'm quite minimal too! I love those H&M earrings!! Gorgeous accessories! 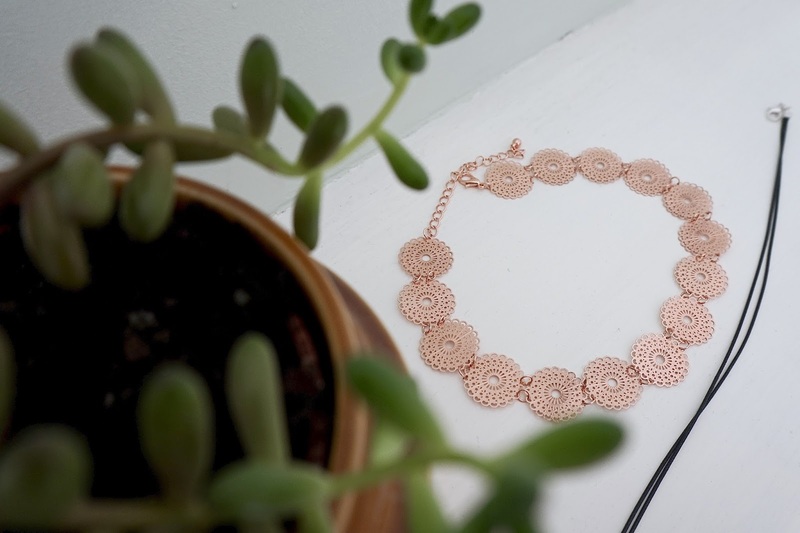 I'm so in love with your Rose Gold choker, it's stunning and your rings are super pretty! those marble sunglasses are amazing!! love this post! I liked the marble glasses so much! And I like chokers, too, plus silver rings... really very nice accessories! Hope you have a great evening! Wow! Lovely accessories you've go there. Very beautiful. THOSE SUNGLASSES THOUGH, I absolutely need those in my life, so frickin pretty! I am the exact same - usually stick to minimal accessories all the time! 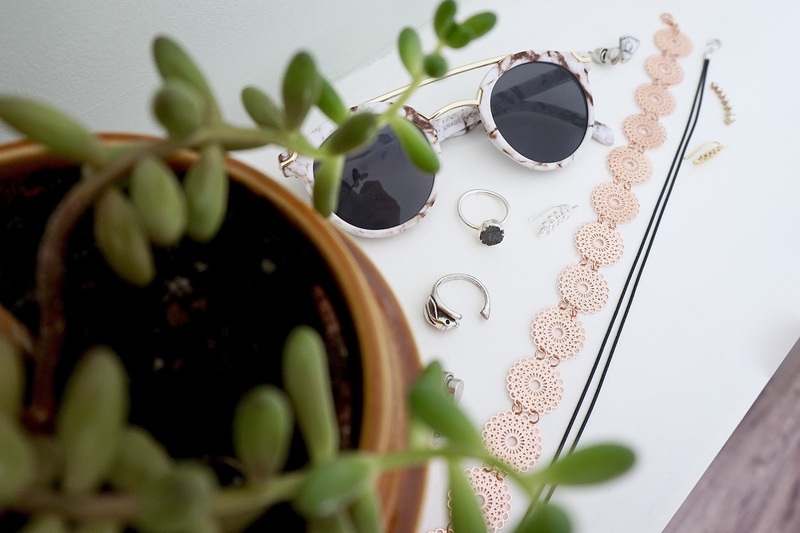 Love these accessories! Your sunglasses are gorgeous!